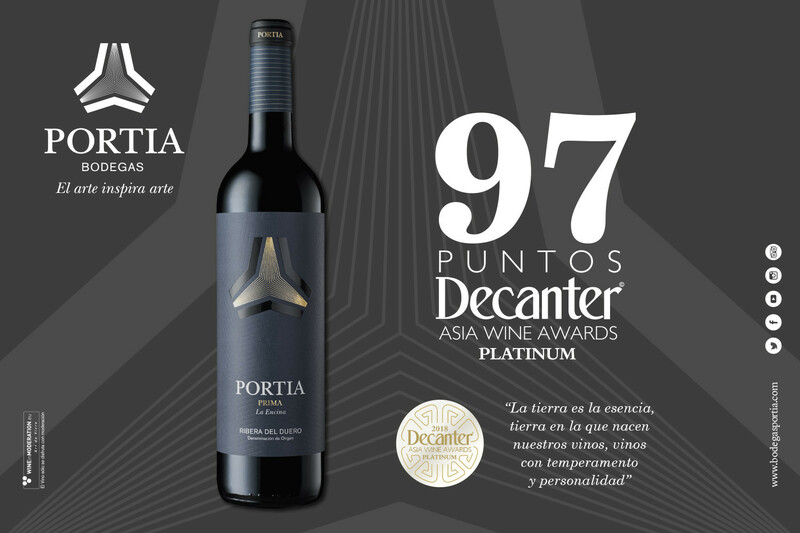 Portia Prima has been recognized with the platinum medal by the renowned international wine magazine at its Decanter Asia Wine Awards, considered the most prestigious wine Competition in Asia. 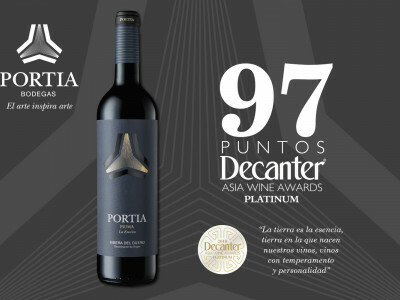 Bodegas Portia has received a new international recognition for its wines, attaining a historic 97 points for its Portia Prima in the latest Decanter Asia competition. The platinum medal joins the 94 points awarded to this same wine by James Suckling, to give the brand a strong push in the Asian continent, where it is already present in several countries. Our Portia Prima is a Signature Reserva made with 100% Tempranillo grapes from La Encina vineyard, located at more than 850 metres above sea level, with a north-south orientation and tended following sustainable agriculture practices. It is a wine with 15 months’ ageing in new French oak barrels. It is a lovely, cherry-red, clean and bright, evolving to ruby-red with some bluish hues. The nose is very intense with aromas of fresh fruit and toasty notes. It has a very amiable mouthfeel and is well-structured with very good acidity providing freshness and a long finish with toasty sensations.